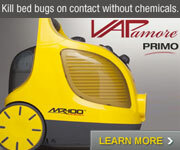 Can a CPAP machine get bed bugs? 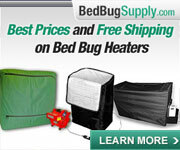 If not bedbugs, what the heck can it be? So I've had two treatments done in my room, but I caught 2 bedbugs yesterday (one under my CPAP machine which I keep on the floor). What's the likelihood they're inside the machine? And how can I treat it? 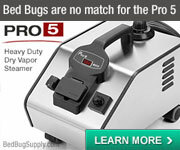 While bedbugs can occupy most items and locations close to people for various reasons something like a CPAP machine is not ideal for them. Yes they may investigate it as harbourage if it’s close to the bed and ultimately it may form a bridge if the bed is isolated. However as I said it not an object / environment that bedbugs would be attracted to. Rather than look to treat the device I would most likely look to isolate it in a box with smooth sides and confirm there is something inside before looking at treating it. Hi there, thank you for the reply. I'm just worried because I currently sleep on the floor (because I threw out my mattress) and my cpap machine is right beside me. It's also concerning that I found two bedbugs yesterday (one under the cpap machine). I isolated the machine yesterday and put it in a bag. What kind of box are you suggesting? Right now, the only things in my room are two cabinets (not sure how to treat those), one lamp, a fan, and bedding on the floor to sleep on. 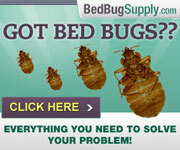 Sounds like the bedbugs hung out there because you have given them no other option. 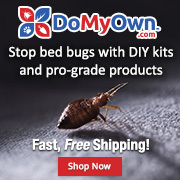 Throwing things out is not the way to resolve bedbugs so I can going to suggest you stop and read the FAQs and useful tools sections to start heading on the correct path. In normal situations I would recommend placing the CPAP machine in a smooth sided plastic box so that anything inside cant get out and things int he room cant get into the machine. 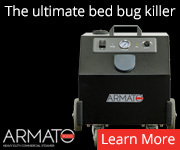 It is as I have said not natural for bedbugs to get into such devices but when you give them no other option they could. I would also advise that you sort the mattress and bed out as a priority as sleep quality is essential to anyone who needs to use a CPAP as you are more likely to be impacted by reduce sleep quality than others. On a personal level I would also advise you seek a consultation with a chiropractor as I found my sleep apnea was greatly reduced by resolving the trapped nerves rather than treating the symptoms. I was also concerned about my mom's CPAP machine when I was helping with her bed bugs because of its proximity to the bed. We initially just bagged it up until we could dedicate some time to it. She was able to sleep without it for a few days. When I brought it out, I inspected it as carefully as possible. There are several parts on it that are detachable and that can be completely immersed in hot water. I did that and then poured a diluted alcohol solution through the tubes and rinsed it out. It was probably a little overkill but the idea of a bug potentially being in something she was going to hook up to her face did not sit well with me. David's suggestion of a putting it in some kind of high walled plastic container would keep them out of it after it's been cleaned. I currently have no mattress, so I just sleep on the floor. My sleep apnea is also mild (ahi of 9). 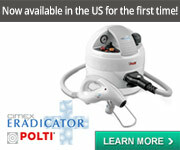 My sleep doctor also told me that the cpap machine is the best way to treat it. The only problem is the parts you can't inspect. That's why I'm very, very concerned about it. We moved during unresolved infestation. 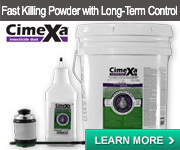 My husband's CPAP machine was a concern but I inspected it closely and wiped down all the surfaces I could reach. It was fine. Will leaving my CPAP machine in the extreme cold outside (-20 Celsius) possibly kill them if they're inside? No, while prolonged controlled freezing will work exposure to cold or heat on earth via outdoors will not realiably work. If you think about the avalanche advice of “digging in” you can appreciate that an active process is needed. So should I just throw the machine then? Also, how would you recommend treating these? No, that would be a waste and without knowing 100% there is an issue and also resolving your issue it leads to the question “do you throw the new one out if you get another problem”. I think you need to invest the time in reading the FAQs and static sections of the website which covers dealing with how to process items. Any suggestions on what kind of box I can put my cpap machine in while using it in my room so bedbugs can't get in or out? One with smooth sides they can’t climb. Is it possible to post an example?